Here Provided Information about Andhra pradesh Muslim People, How to get their BC-E Caste Certificate in Andhra Pradesh (AP). So many Muslim Brothers Confused ? How to apply BC-E Caste Certificate in Andhra Pradesh, Here Provided Procedure for apply BC-E Caste Certificate for Socially and Educationally Backward Classes of Muslim. Apply their BC-E Caste or Community Certificate through Meeseva Centers in Andhra Pradesh. AP Meeseva Provide (BC-E Caste) Application Form online. If you want to download Application Form through Meeseva Official Website http://www.meeseva.gov.in for apply BC-E Caste Certificate. Andhra Pradesh Provide Reservations in favour of Socially and Educationally Backward Classes of Muslim Ordinance 2007 was promulgated to provide for 4% Reservations of As per G.O.Ms.No.23, BC Welfare (C2) Department, Dt. 07 .07.2007.Its impact on 4% Reservations provided to certain Socially and Educationally Backward Classes of Muslims under the Govt.of Andhra Pradesh, under BC-E Category.For more details about Reservations See G.O.Ms.No.23, BC Welfare (C2) Department, Dt. 07 .07.2007. Below is a list of Muslim Communities that have been accorded Other Backward Classes Status by the Andhra Pradesh state government. 1. Achchukattalavandlu, Singali, Singamvallu, Achchupanivallu,Achchukattuvaru,Achukatlavandlu. Thirugatigantla,rollaku Kakku Kottevaru,Pattar Phodulu,chakketakar,Thuraka Kasha. How to Apply BC-E Caste Certificate in Andhra Pradesh Through Meeseva Centers. Andhra Pradesh Citizen who want to apply their Caste Certificate (BC-E) through Meeseva Centers,First you Need to download Application Form Online through Meeseva website. Here Download PDF File of Meeseva Application Form for Issue of Community,Nativity and Date of Birth Certificate Relating to Socially and Educationally Backward Classes of Muslims. Where to Apply Muslim BC-E Caste Certificate in Andhra Pradesh ? After Collecting all Document and Xerox Copies, Visit your nearest Meeseva Center where they can submit their request and get receipt of BC-E Certificate in andhra Pradesh.Keep it Receipt ,Transantion ID and Application Number for Future Refference. 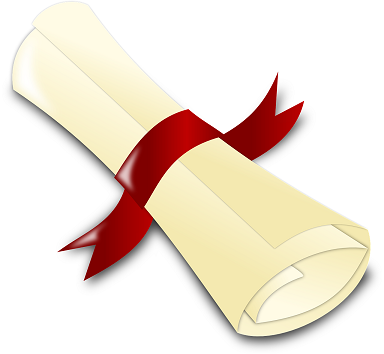 What is the validity of BC (e) caste certificate obtained in 2013 through mee seva. Is it valid for life time or is to be renewed.